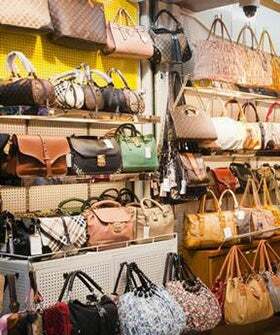 There is nothing cheap about the ongoing saga of counterfeit fashion. The demand for designer fashion at an impossibly low price, regardless of the origin (however dubious) has caused the loss of nearly 400,000 jobs in the fashion industry and at least £5 billion in revenue over the last 20 years, according to the World Customs Organization. And it's not just the luxury brands that suffer, but popular mid-market brands too. Case in point: Fred Perry recently settled a dispute with the e-tailer firm The Hut Group over the sale of counterfeit merchandise on their websites.